Let’s Encrypt is an Open Source new Certificate Authority (CA) that provides an easy way to obtain and install TLS/SSL certificates so newbies can start using fast and safer version of the internet. Since Certificate Authorities charge too much for the TLS/SSL certificates Let’s Encrypts initiative is a revolution in this industry. In this tutorial, I’ll show you how to install Let’s Encrypt and secure Nginx web server which is using Ubuntu 16.04 LTS or later. Before proceeding ahead make sure that you have root user or root enabled access to the server. The default server location block is here at nano /etc/nginx/sites-available/default. The .well-known is a hidden directory which will be used by Let’s Encrypt to verify your domain. Just add the following code inside the server block so let’s encrypt can use it for verification purpose. Install let’s encrypt service which can be installed quickly. We have to install let’s encrypt client and now we need to obtain the certificate. Once you hit enter Let’s Encrypt will verify your domain name for the availability and once it crosses verifies everything it will generate certificated for you. By the time you will be asked for an email address and accepting their terms and condition. Provide an active email which works; because once your certificate is about to expire it will send you a notification. If everything works well then you will see a congratulations message. 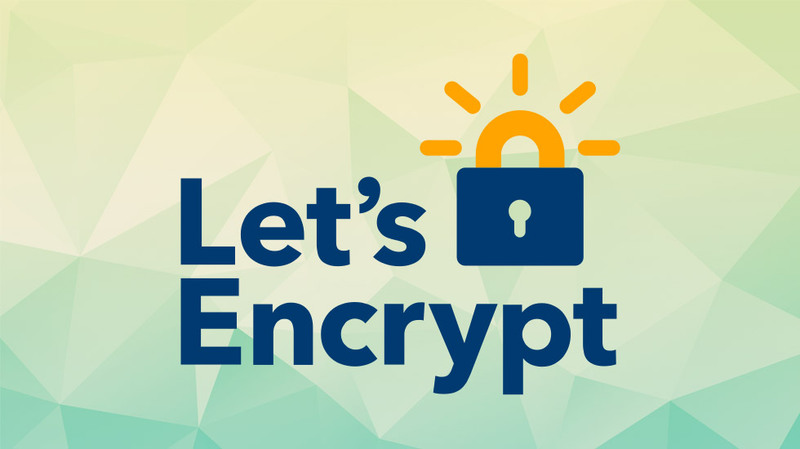 Since we have already obtained certificates from Let’s Encrypt we need to quickly install it and get things done. Created a new server block at the beginning of your current configs. and modify the existing one with following the new one. Now just save the new configs and to further increased security, you should also need to generate a strong Diffie-Hellman group which is recommended for production environment. To generate a 2048-bit group, use this command. Now wait for some time, it will generate a strong certificate. In Nginx server block copy paste following lines below SSL certificates’ lines. Now restart Nginx to see the changes. The Let’s Encrypt TLS/SSL certificate is now in place. At this point, you should test that the TLS/SSL certificate works by visiting your domain via HTTPS in a web browser. I strongly suggest rewriting your links of your website to https to see the green color on the address bar. Let’s Encrypt certificates are valid for 90 days only, but it’s recommended that you renew the certificates every 60 days to allow a margin of error does not affect your resources. At the time of this writing, automatic renewal is still not available as a feature of the client itself, but you can manually renew your certificates by running the Let’s Encrypt client with the renew option. Restart Nginx to save the changes. If you want everything gets done automatically then you can add a Cron job to auto renew SSL certificates. We just need to specify time and date along with renewal instruction in crontab to get things done. If you are using crontab function for the first time you will be asked for choosing editor type first; just choose one with NANO editor which would be indicated with <—- easiest. New editor windows will open, just go the end and paste following code. now just save it and exit by Ctrl+O (Save) and Ctrl+X (Exit). LetsEncrypt offers us to renew certificate after 60 days once we make one, thus we can add a function to renew it weekly. Here I have set the time 23:5X PM on Saturday every week. Make a note that this would function according to your server’s local time which is by default UTC. If you want to make it according to your region, just set your timezone to your region. This is how we can install Let’s Encrypt and secure Nginx in Ubuntu 16.04 LTS or later systems.